Aldrich Contemporary Art Museum, “Painting the Glass House: Artists Revisit Modern Architecture”, Curated by Jessica Hough and Monica-Ramirez Montagut, Ridgefield, CT, catalog. Neuberger Museum of Art, “Future Tense: Reshaping the Landscape”, Curated by Dede Young, Purchase, NY. Evanston Art Center, “Things Fall From the Sky”, Evanston, IL, Curated by Ken Fandell and Ciara Ennis, catalog. Museum of Contemporary Art, Chicago, "Strange Days", Chicago, IL, Curated by Dominic Molon. Chicago Cultural Center, “Here and Now”, Chicago, IL, Curated by Gregory Knight, Lanny Silverman, Marianne Richter, and James Rondeau, catalog. Regina Rex is an artist-run exhibition space I co-founded with 12 other members in 2010. We stage shows monthly in Ridgewood, Queens. 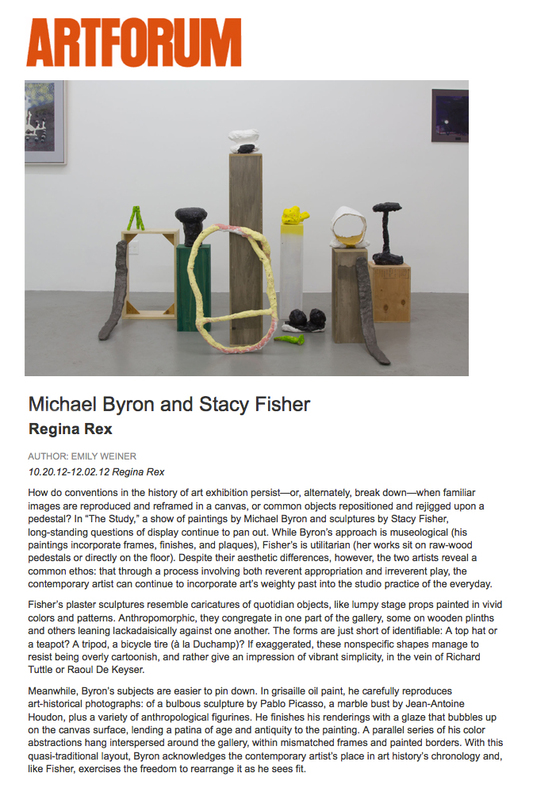 Regina Rex, "The Study: Michael Byron and Stacy Fisher", ArtForum Critic's Pick, November 2012. Regina Rex, "Hands Tide: Yevgeniya Baras, Rachel Budde, Elizabeth Ferry, Carrie Gundersdorf, Sue Havens, John O'Connor, Jacob Rhoads and Steve Sorman. 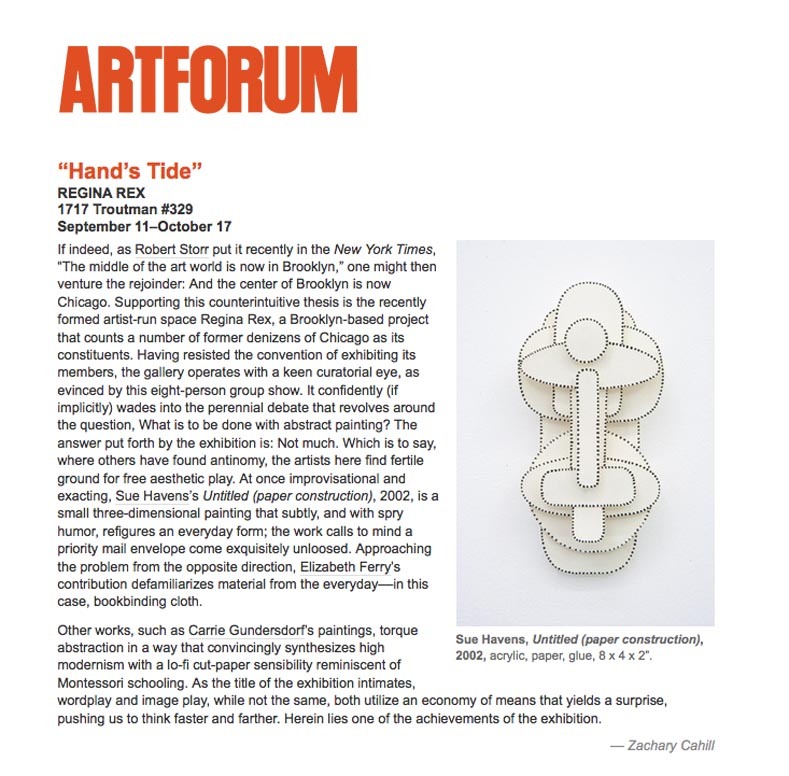 ArtForum Critic's Pick, September 2010.